For 21 years, the United States has been without the legendary Toyota Supra. Motoring enthusiasts across the country can now celebrate, the wait is finally over. 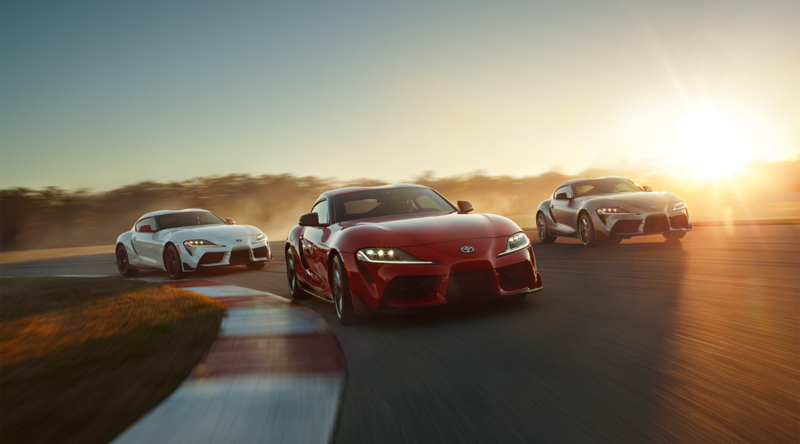 The fifth-generation GR Supra, the first global Toyota GAZOO Racing model, represents a 50+ year lineage of unique Toyota sports and GT cars. Staying true to its roots, the Supra is powered by a potent turbocharged six-cylinder engine along with a rear-wheel drive layout. Instantly recognizable as a Supra, the exterior styling accentuates its short wheelbase and sophisticated chassis structure. Once you take a seat behind the wheel, driver, car, and road become one. A striking double-bubble roof design reduces drag by shaving the roof center to reduce the projected frontal area without sacrificing occupant headroom. 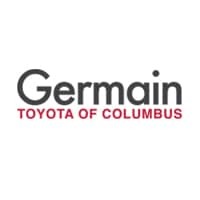 Bold, expressive exterior color choices include Renaissance Red 2.0, Nitro Yellow, and Downshift Blue which emphasize the emotional connection drivers feel with a high-performance sports car. Inspired by the fourth-generation Supra, the front fascia of the 2020 Supra is even more expressive with a prominent central grille section flanked by large air intakes. Engineered for both the track and the street, a double-bubble roof design reduces aerodynamic drag without compromising headroom. A prominent, arching rear integrated spoiler helps to suppress aerodynamic lift at the rear while paying homage to the fourth-gen Supra Turbo. Six-lens LED headlights integrate both daytime running lamps and turn signal functions to create a distinctive lighting signature. Adding a sense of excitement to the Supra, available Phantom Matte Gray combines a matte finish and a hint of blue for a metal-like texture. A 3.0-liter twin-scroll turbo six-cylinder produces 335 hp and 365 lb-ft of torque and comes paired to a quick-shifting 8-speed automatic transmission with paddle shifters, making the all-new Supra the quickest Toyota-branded production vehicle to date. Its rear-wheel drive platform, low center of gravity, and perfected 50:50 weight distribution gives you the agility and confidence to attack the apex of the corner. 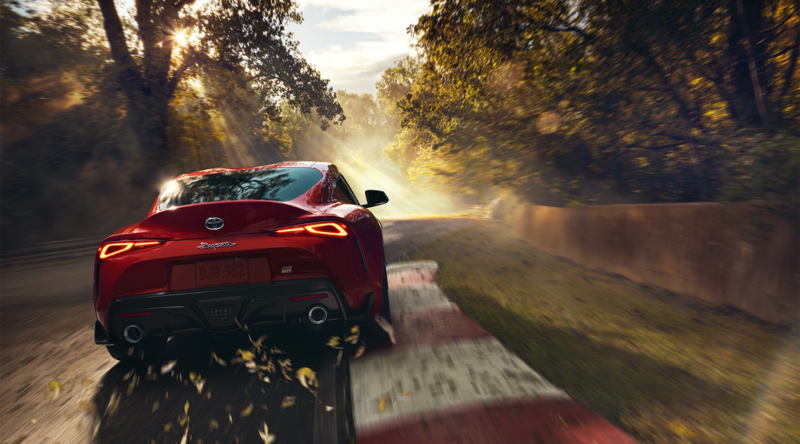 A top speed of 155 MPH along with a 0-60 time of just 4.1 seconds proves that the all-new 2020 Supra is infused with race-bred excitement. Drivers will have their choice of two individual driving modes — Normal and Sport. When Sport mode is engaged, you’ll enjoy sharpened throttle response, improved transmission shift crispness, and amplifying exhaust sound. Discover a perfect balance of function and premium comfort and convenience features inside the Toyota Supra. Keyless Smart Entry, dual automatic climate control, auto-dimming rearview mirrors, rear camera, rain sensor windshield wipers, garage door opener, power folding mirrors, and a leather-wrapped steering wheel are examples of standard amenities. A low, narrow-section dash layout gives the driver expansive forward visibility. Essential for performance driving, the tachometer and shift-timing indicator enable the driver to easily focus on vital control information. An available full-color Head-Up Display projects navigation and drive data directly onto the windshield, helping to keep your eyes focused on the road ahead. A lightweight composite hatch gives you seamless access to the smartly trimmed luggage area of the Supra.